The Wisconsin Tavern League is sounding off against a proposed statewide smoking ban. 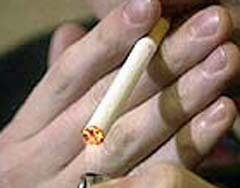 The Senate Health Committee heard testimony Tuesday on a bill that would ban smoking in all workplaces. Wisconsin Tavern League Executive Director Pete Madland says the legislation has their members scared, because they believe the measure will drive them out of business. Tavern League President Rob Swearingen says many of their members are already struggling financially, and a statewide ban could keep many potential customers at home. He says it could be the "last nail in the coffin" for small business owners. Swearingen says they are open to a statewide ban that includes some compromises to help taverns adjust, such as a delayed start date and allowing outdoor smoking patios. However, he says pro-ban groups have adopted an all-or-nothing attitude and tavern owners can&apos;t support the ban as it&apos;s currently proposed. Lawmakers on Tuesday also heard from Jeff Steinbock, the owner of Uhle Tobacco Company. Steinbock operates a cigar store and lounge in Milwaukee, and asked lawmakers to consider an exemption for his type of business. Steinbock says the decision to go smoke free should be left up the owners of a business. Sponsors of the legislation say they have no plans to add any exemptions at this time, although they admit changes are possible. Companion legislation is expected to receive an Assembly hearing on Wednesday, and both versions could be voted on by the full Legislature as early as next week.